The company of Russian origin was created in 1997 and quickly become famous for creating a great betting experience for its customers. 1Xbet is one of top 100 bookmakers ranked in many review sites for its quality and uniqueness. 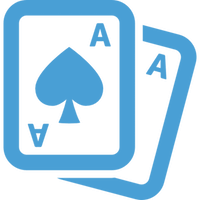 Established as an online betting platform in 2011 and under the jurisdiction of Curacao, the company quickly became popular amongst online betting enthusiasts. As one of the most popular sites for betting in the world, 1Xbet tries to satisfy its customers by offering excellent betting options. That’s how in no time at all, the site converted over 400 000 players from many different countries. The business has employed over 5000 employees and 500 retail branches in Russia. The site is mostly popular in Russia, and most registered players are from the capital, Moscow. With great odds and excellent markets this bookmaker has made it in the top rankings of the best online bookies. Their employees often brag about the highest odds the platform offers for many popular sporting events. 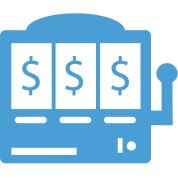 The bookie is a reliable choice for both professional and amateur players. The company is stable and financially powerful, so clients don’t have to worry about payments. 1Xbet has a very nice looking site that strikes you with the diversity it offers the moment you open it. You can choose from a huge amount of popular sporting events as Soccer or Basketball. You can also bet on odds for more rare sports such as Bandy or Alpine skiing. If you’re not into sports, just go to the casino section. There you can find lots of entertainment playing Roulette or for some Poker. Many other games as Slots, Blackjack or Backgammon are also available. 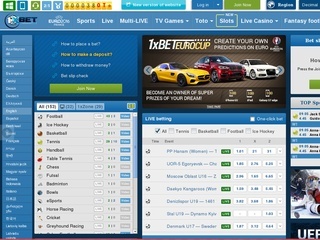 Live betting is also supported and can easily be found on the top menu. You can find tons of stats and results for your favorite teams before you place a bet. The owners of the site have made it very clear that their players have to be connected at all times. That’s why they have the very creative and interesting option of downloading not one, but two apps for mobile devices. Why two you ask? Well, because one of them is made to be super light on your mobile data plan, that’s why. This may not be a revolution amongst other bookmakers, but it sure makes things easier for users who don’t have great speeds or enough megabytes on their mobile devices. 1Xbet offers a wide selection of betting markets and, of course, they have made the odds very tempting for the very player. Supporting a wide diversity of odds formats they offer US, Decimal, Malay, British, Indonesian and Hong Kong formats. 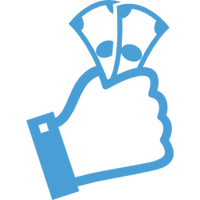 Of course the bookie offers the most popular betting options as spreads, money lines, and totals. You can find tons of markets for popular football games with over 800 odds for a single event. That’s very impressive for a site that has been created a couple of years ago. Double chance, handicap, both team to score and correct score are available. You can also find other interesting choices as Result for a current minute and Win in Minute, which are absent from many other popular bookmakers. To be in the top 50 of the most popular booking site in the world is not easy. That’s why 1Xbet has made sure their players receive the best online treatment. The platform of the site is on a secure SSL encryption that ensures players their data and information are safe and will not be stolen by hackers. International players will be glad to find that the site supports over 20 different languages. Yes, the main language of the platform is Russian, but players from Japan, Finland, Greece and Bulgaria (and many more) can still understand everything easily. The company has understood how important it is to answer the questions of every player 24/7. That’s why there are the Live Chat option and Video Chat option (which is an innovation even top 5 betting platform don’t have). There are also the expected email options for contact, and phone number you can call on (however, you will be charged for that call). The support team is very friendly and will probably handle your request without any hassle. 1Xbet made it easy for players to deposit money offering a wide variety of deposit options. Most famous are Visa, Mastercard, and Skrill, but there are plenty more to choose from. You can check them all in the table, as well as the supported currencies that are are over ten. Minimum deposit amount is $1,50 (or equal amount of currency). This goes for every deposit method except Neteller where it’s $3. For withdrawals, you can use the methods you have deposited the money. There are no fees for withdrawal. Minimum withdrawal amount is also very reasonable going from $3 to unlimited. The time you have to wait for the funds to be withdrawn is from 1 to 5 work days. For digital wallets, it’s 15 minutes. To keep their reputation of offering great bonuses, the bookie has made a lot of fun bonuses for every new or already registered player. 100% Sports Bonus on $130 (deposit $130 and get $130 Bonus). One of the interesting bonuses is a free bet on all stakes and markets. There is no rollover requirement that is very nice.